InvestGlass helps you to focus on mandatory fields nurturing thanks to "Mandatory KYC Fields". In the left menu, select the Settings page. Select Mandatory KYC fields from the drop down menu Mandatory KYC fields. Click on Add. 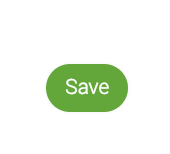 When you finished adding Mandatory KYC fields, click on Save. InvestGlass CRM "Mandatory KYC fields" will help you track more information around the prospects and customers you're selling to. You will bring more accuracy to sales reports and respect AML & KYC regulations. From Company / Contact you can filter contacts with missing information. Click on Filters then from the from down menu Mandatory KYC Fields - Select Mandatory Fields Missing. You can find also ⚠️helpers from Contact CRM view. Helpers will appear when Mandatory KYC fields are missing. When you Edit a contact CRM page, you can click on Show Mandatory Fields to simply filter those fields. Edit the CRM then click on Save. 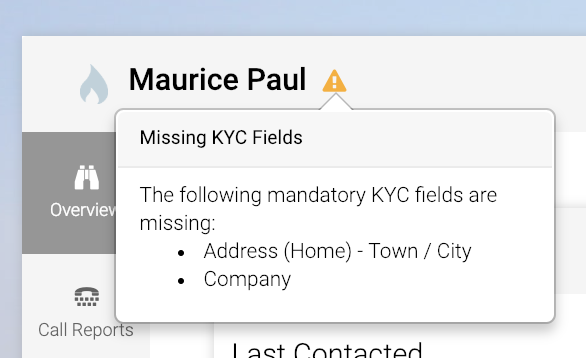 Mandatory KYC fields are highlighted with a red star.